When school's out, many children who live in poverty no longer eat nutritious meals like they do during school as part of the free and reduced-cost school lunch program. 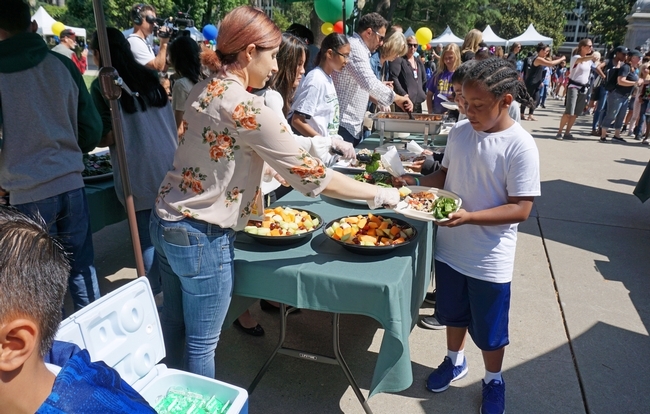 UC Agriculture and Natural Resources' Expanded Food and Nutrition Education Program (EFNEP) in Sacramento County has joined a coalition to promote the summer meals program, which is aiming to serve one million meals during summer 2018. UC ANR's EFNEP program staffed a booth along with the UC Master Food Preserver Program at the Million Meals Summer picnic for Sacramento youth. Sen. Robert Pan, in center with white shirt, dances with children at the Million Meals Summer picnic. In the summertime, the number of lunches served drops to less than 10 percent of the school-year number. “Over the last couple of years, my office has worked with a growing number of organizations to help close the gap of child nutrition,” Sen. Pan said. At the picnic, Sen. Pan, a pediatrician, reminded the children that eating healthy through the summer will get them ready to learn when school starts again. Students enjoyed a healthy lunch. 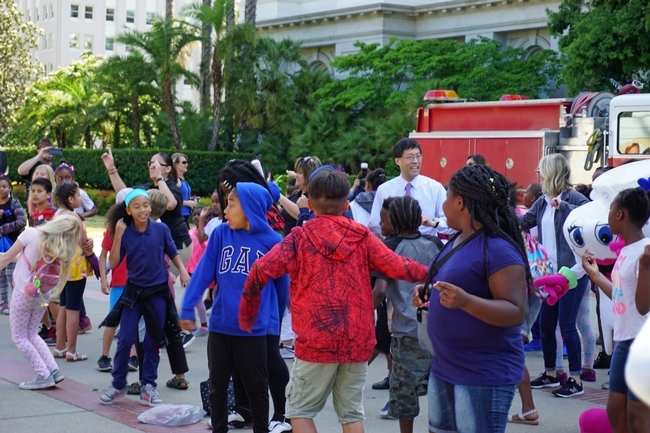 Sen. Pan said Kim Frinzel, associate director of the California Department of Education nutrition services division, is leading the effort to set up sufficient meal sites and encourage children to attend. 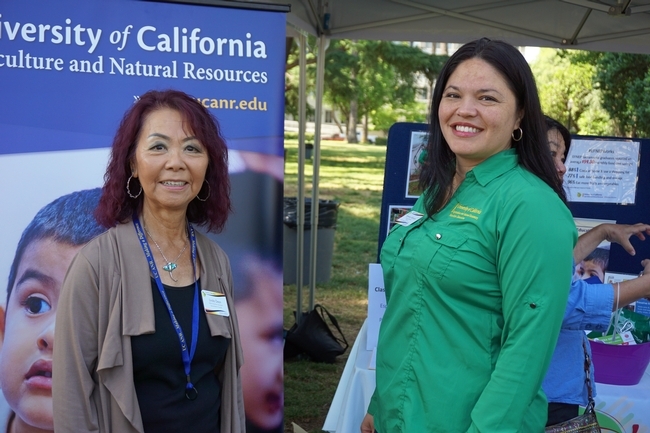 Linda Dean, left, and Vanessa Kenyon of Sacramento EFNEP. Vanessa Kenyon, EFNEP program supervisor for Sacramento and San Joaquin counties, said EFNEP will provide nutrition education training for Samuel Merritt University nurses-in-training. 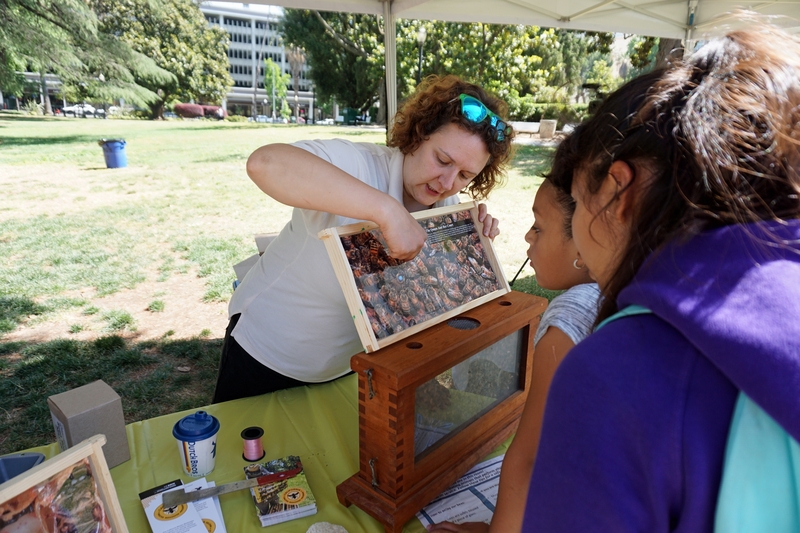 “Summer meals are provided at 140 sites in Sacramento County. If the children stick around after eating, they can take part in enrichment programs. The student nurses will fulfill a portion of their service hours by sharing nutrition education resources and activities at the meal sites,” Kenyon said. 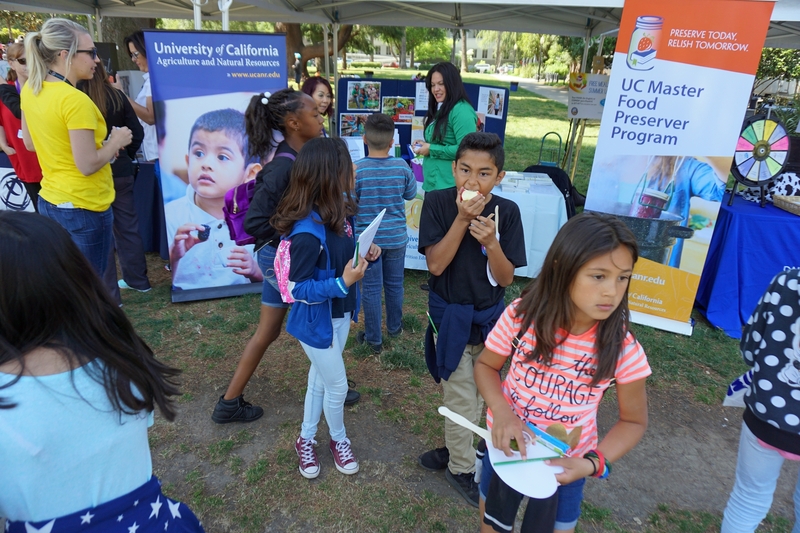 The UC EFNEP program, which serves 24 counties in California, assists limited-resource families gain the knowledge and skills to choose nutritionally sound diets and improve well-being. The United Way California Capital Region heads the coalition of community, business and state partners supporting the Million Meals Summer in Sacramento County. 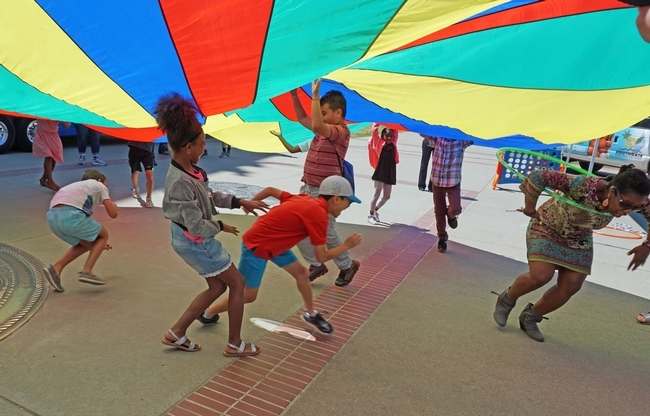 Physical activities at the picnic included parachute play. UC Cooperative Extension apiculture specialist Elina Niño shared information with students at the picnic about the lives of bees. A few students from American Lakes Elementary School said they would be eating at summer meal sites. Left to right are James Dixon, 9, Yahaira Ramirez, 11, Diana De La Cerda, 12, and Eduardo Liscano, 9. 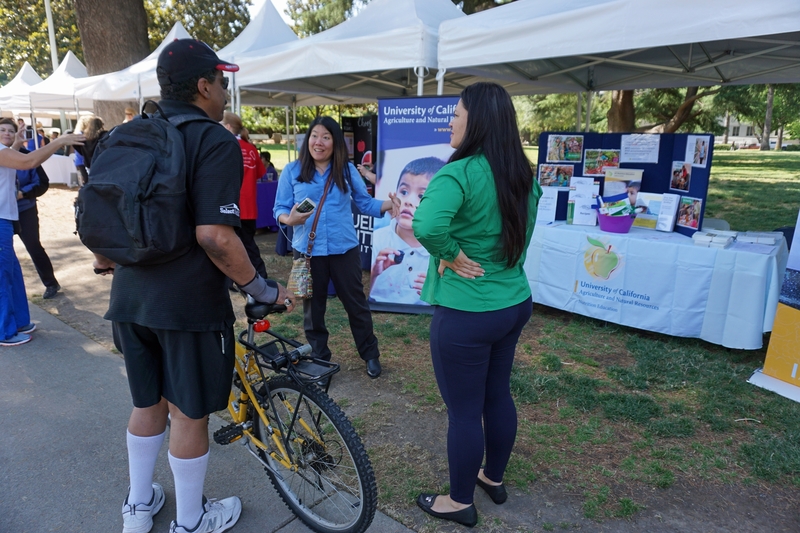 UC ANR marketing and communications specialist Suzanne Morikawa, center, fills in a visitor about EFNEP's role in the community.